A company's founder exerts a lot of influence on the organization's culture, its business model, and its approach for dealing with clients. John Goott, Investec's founder, has had a long-term interest in helping others with their personal financial issues…and in doing that in a way that leads to close, enduring relationships. There are those in the financial services industry who go after the "fast buck" and often end up sacrificing reputation and relationships. That's not the way John envisions running Investec. "Over the years, we've been privileged to build a business characterized by low client turnover, loyal staff, and acquisition of new clients primarily through the referrals of existing clients," says John. "We've done that by remaining independent—we're free to choose the funds we invest in based on our research and judgment, not because of any pressure from a head office for a particular fund or product. And in choosing to be independent, we've opted for a business model that requires us to make decisions and recommendations on the basis of what's best for the client. It's called a 'fiduciary relationship,' and not everyone in wealth management chooses that model." 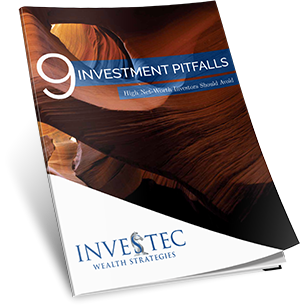 Being independent and fiduciaries to our clients doesn't guarantee that the right chemistry will exist between potential clients and Investec. But it does suggest that we see ourselves sitting on the same side of the table as the client, working together for your financial success. And we think that should matter to you.